The Legal Lens: TaylorGate - Did Chief of Police Michael Taylor Take More Dirty Money to Become a Public Official? TaylorGate - Did Chief of Police Michael Taylor Take More Dirty Money to Become a Public Official? 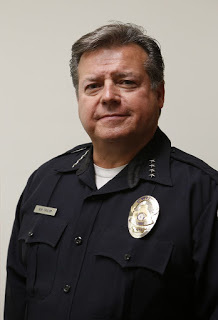 Did Baldwin Park Chief of Police, Michael Taylor, take even more drug and contraband money to fund his campaign to become an elected official on West Valley Water Board? 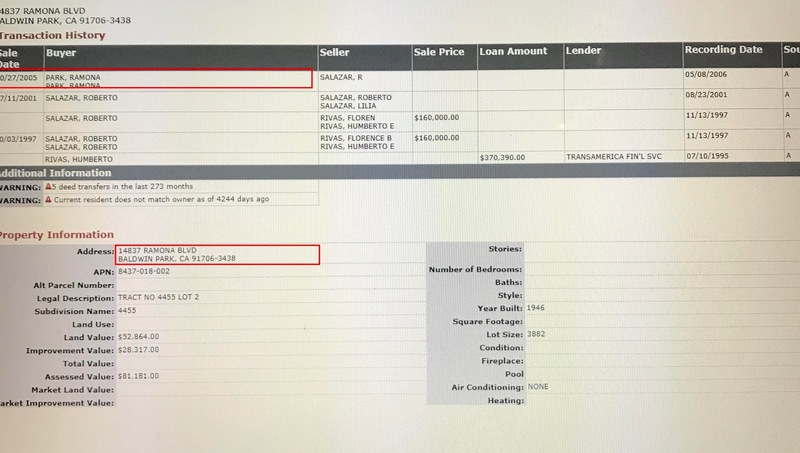 After investigating Taylor's political campaign contribution form filed on September 26, 2017 - The Legal Lens discovered that Taylor was taking money from an individual named Bershatski, who subsequently received a marijuana grower's license. The Pasadena Star has also confirmed this finding. According to the Star, Bershatski refuses to comment on the affair. It gets worse, however. Upon investigating Taylor's 460 form filed on October 25, 2017 - it appears that Taylor may have accepted more anonymous dirty money to run for office. What is our democracy coming to when a police chief has to accept drug and contraband money to become a public official? Come and see the dark underbelly of elections. According to Taylor's second 460 form for 2017, he received $7,000 from a CA Education Coalition PAC (Id # 1397125) Pasadena, CA 91117. 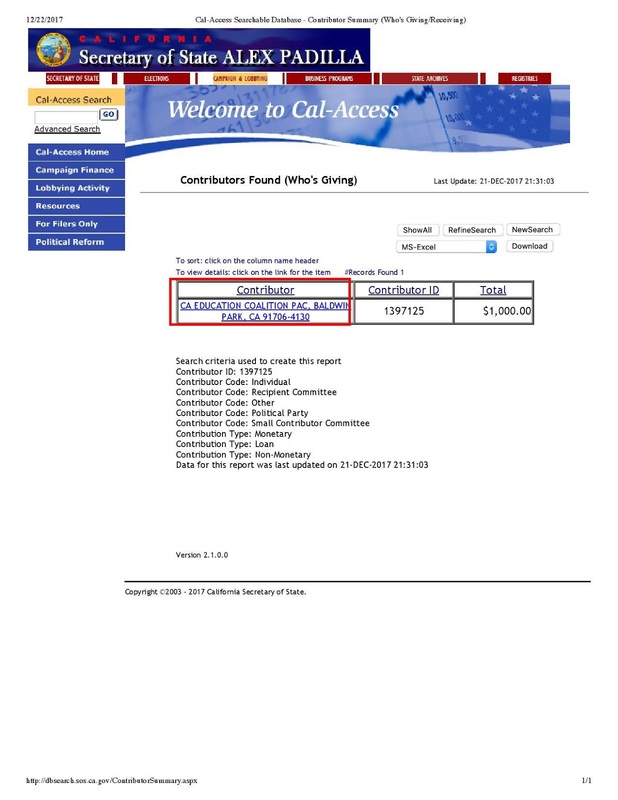 A PAC is a political action committee that collects money from various individuals, who can give money and hide their identity to donate to a candidate. But what is this organization? 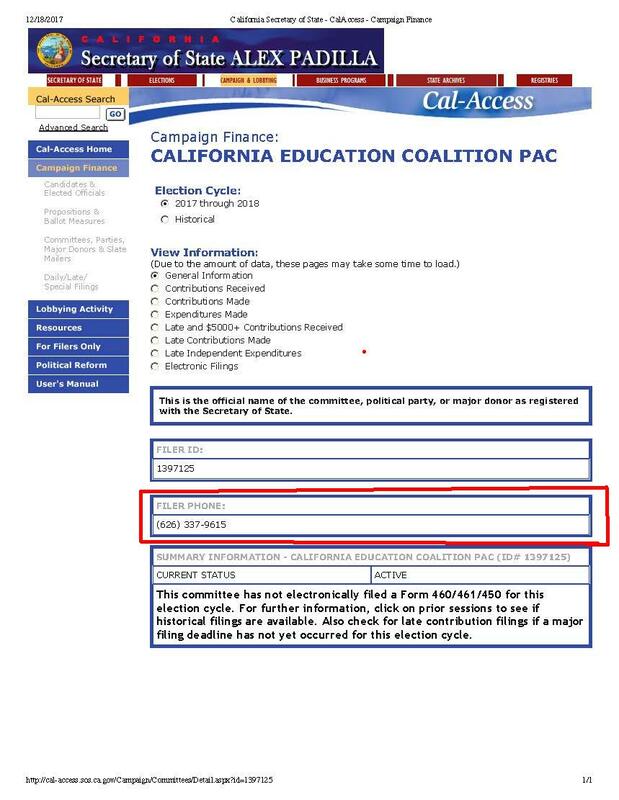 Taylor misrepresents that the CA Education Coalition PAC is located in Pasadena with a zip code of 91117. After doing a search on the California Secretary of State's website - we discover that the PAC is actually registered in Baldwin Park. Isn't this where Taylor is Chief of Police? It's often said that all roads lead to Rome. In this case, all roads of corruption appear to lead back to where? That's right: Baldwin Park. The PAC's agent is listed under the phone number 626-337-9615. Who is this? What this means is that whoever donated the money allegedly gave it to Patel or K&C Altadena Dairy as to hide their identity. But why would someone want to remain anonymous in donating to Taylor? And what's the link to Pasadena? Going off the theory that Taylor likes to reward those with his position as Chief of Police, which may have happened with Bershatski, is there anyone in Pasadena who received a marijuana grower's license? 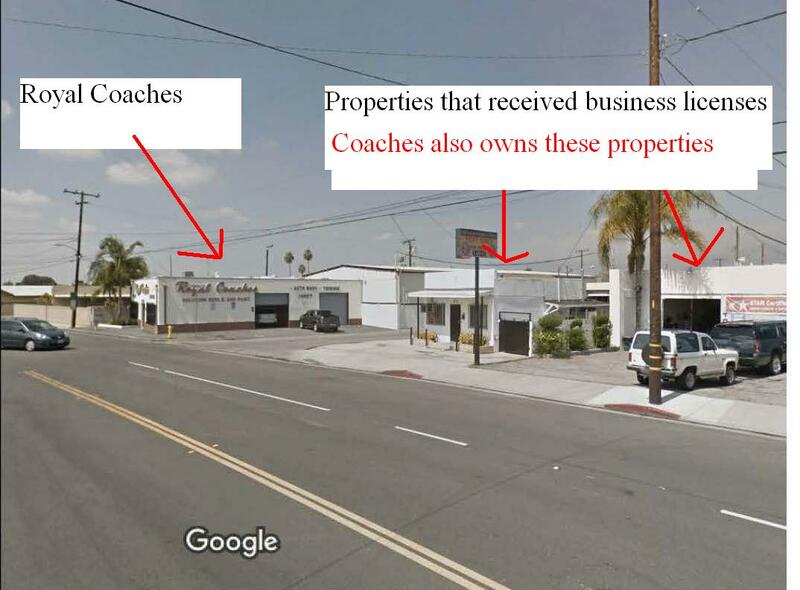 The question, thus, to ask: Is out of the 10 businesses selected for a license, are any of one of them located in Pasadena? Bingo. Organic Management Solutions, LLC is registered to a DOUG BOULWARE, who is located at 3579 E FOOTHILL BLVD #737 PASADENA CA 91107. The zip code 91107 is similar to the zip code that Taylor put on his 460 regarding his PAC. Ok, but that still doesn't answer where the money comes from? Another question may answer that: Where will Organic Management Solutions, under Doug Boulware, be doing business? 14837 & 14841 Ramona Blvd, Baldwin Park. And who owns that property? 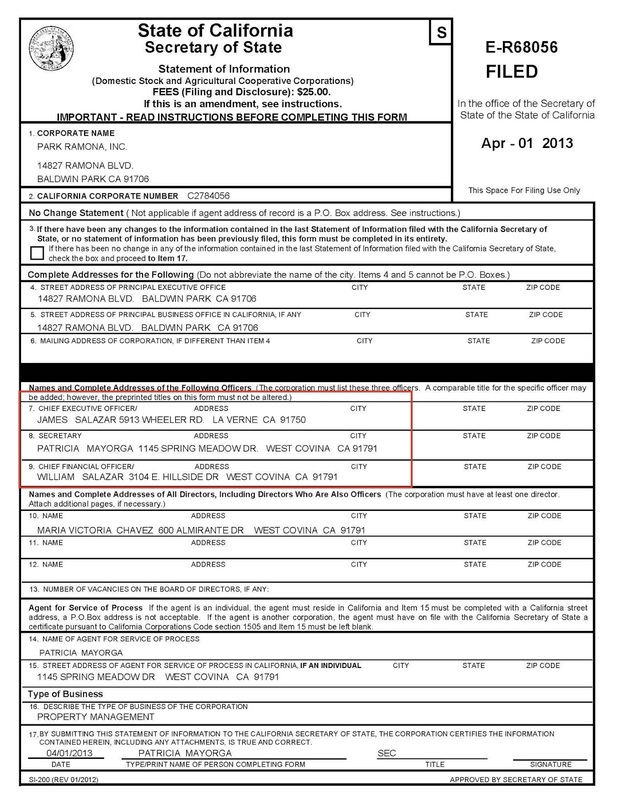 Ramona Park Inc., which is owned by the Salazar family, who operates Royal Coaches Inc.
Royal Coaches Inc., which is owned by the Salazar family, is an old and familiar and long time campaign contributor to Baldwin Park politicians, candidates, and administrators. (It also won't be the first time that Taylor has received benefits as a police officer from Coaches.) Legal Lens has often argued that the Salazars have been a blight and a cancer in Baldwin Park. 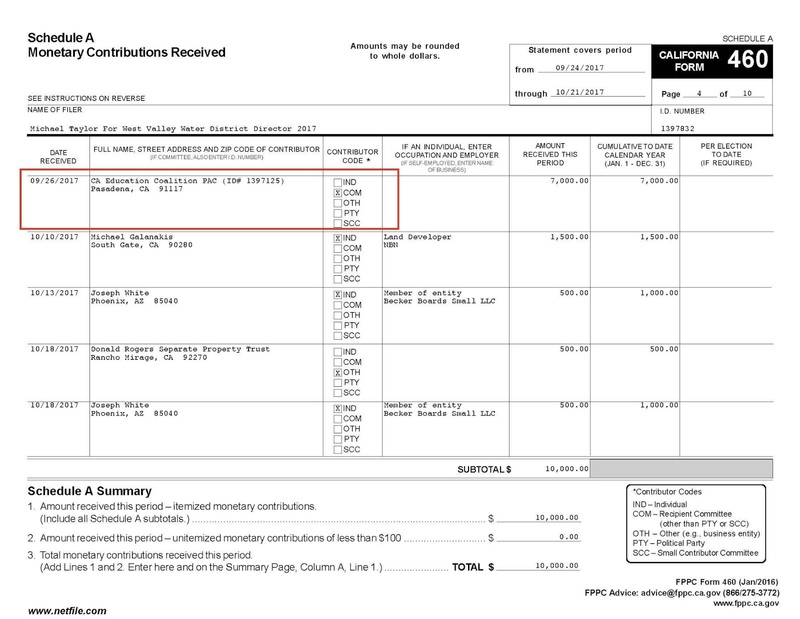 Royal Coaches ----> $$$$ ----> Individual 1 ------> Individual 2 -----> CA Educational PAC -----> Michael Taylor for Water Board. Royal Coaches <------ Marijuana license approval <------- Michael Taylor. According to the Pasadena Star, after Taylor was confronted about receiving money, he blamed it on his campaign manager. It's ironic that by alleging his campaign manager did it, Taylor, a police chief, resorted to one of the most common defenses used by murderers, which in the criminal defense world is called SODDI (Some Other Dude Did It). More investigation needs to be done. 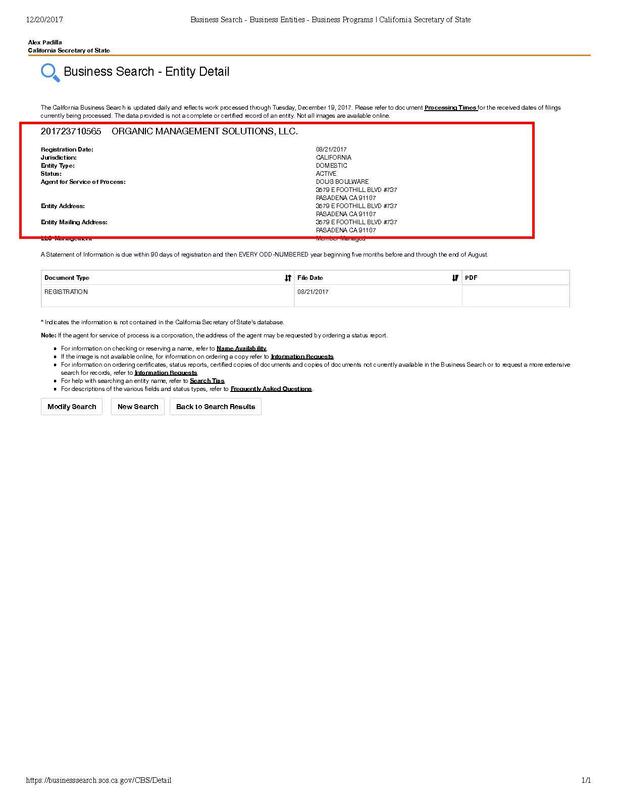 Can a candidate accept $7,000 and $10,000 from one organization? Also, is Taylor's filing a form of fraud? Nonetheless, a few things are clear. Taylor has not only soiled the image and reputation of Baldwin Park and the Office of the Chief of Police, he has also shown us the ugliest side of our democratic system. Dirty money funneled anonymously. (No wonder why people are upset at the ruling of Citizen's United.) A Police Chief accepting drug and contraband money to abuse his position in office. Politicians behind the scenes receiving undisclosed benefits. And a police chief who lies and is full of deception on his campaign filings to run for office. Sadly, it appears in our system, that taking dirty money, lying, and cheating is a sure fire way to get into public office. As they say, there's no honor amongst thieves. Really, it's time for an entire overhaul of the system, one that promotes honesty and holds deceivers and plunderers of public funds accountable. In this case, what's happening is that the blood money of the undocumented, the poorest of poor, went into funding Taylor's campaign. In other words, money from the oppressed went to the ugly oppressor to continue his oppression. In any event, there is more to come. Also, if you have any information on Douglas Boulware or Kaushik Patel or Robert Rego, please come forward and email me. Stayed tune to the ongoing coverage of TaylorGate brought to you by The Legal Lens, writing on TaylorGate since May of 2014. Editor's note: Thanks to GA for his comments and feedback in editing this article.